Łukasz Habaj has described his spectacular moment on Rally Liepāja that is the FIA European Rally Championship’s nomination for the FIA Action of the Year poll. 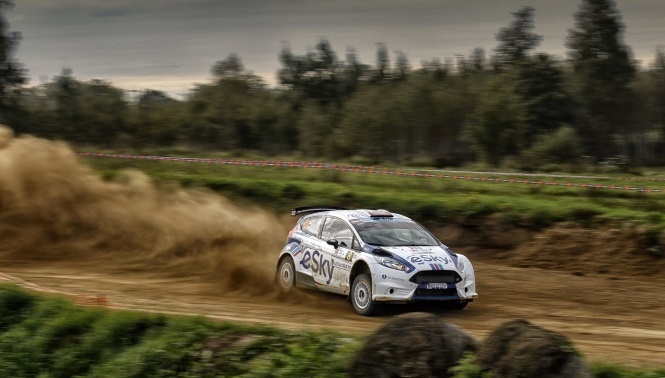 The Polish driver and his navigator Jacek Spentany came close to rolling their Rallytechnology Ford Fiesta R5 on one of the Latvian gravel rally’s fast corners on stage nine, but Habaj controlled the two-wheeled moment well to continue in fifth place. 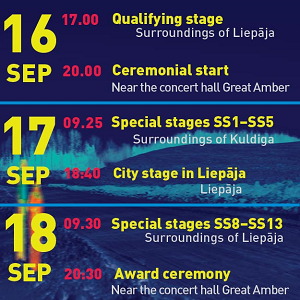 Rally Liepāja, which is a part of the FIA European Rally Championship for the fifth year in a row, will take place on Liepāja and Kuldīga region roads from October 6 to 8, 2017. A total of eight events are currently included in the FIA European Rally Championship provisional calendar, with an option to increase to ten. 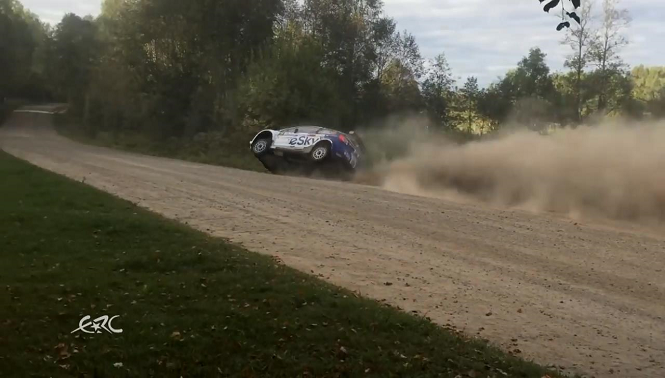 This year’s Rally Liepāja was won by Latvian crew Ralfs Sirmacis / Artūrs Šimins, who concluded the championship in third position. For the first time since a pure FIA European Rally Championship round takes place in Latvia, a local driver has won it – Sports Racing Technologies crew of Ralfs Sirmacis and Artūrs Šimins won their third ERC event of the year in Liepāja on Sunday afternoon. In addition to that, two champions were also crowned in Latvia – Kajetan Kajetanowicz / Jaroslav Baran became European champions for the second year in a row, while Marijan Griebel became the ERC Junior champion. FIA European Rally Championship event Rally Liepāja began with the first seven special stages on Saturday, September 17. 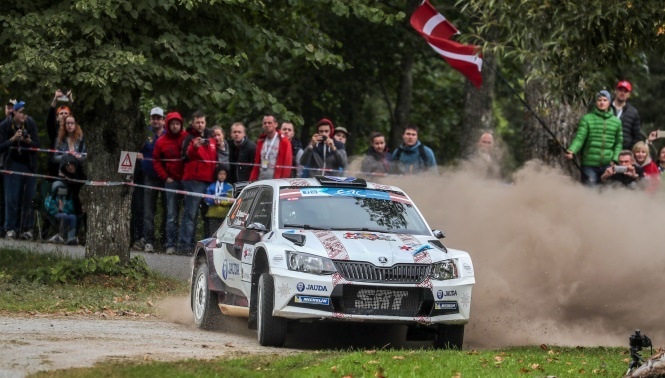 After Leg one, Latvian crew of Ralfs Sirmacis and Artūrs Šimins (Škoda Fabia R5) are the leaders by 30.7 seconds. ERC Junior championship has had some extremely close battles, with the current leaders, Marijan Griebel and Chris Ingram, separated by only 0.7 seconds, while the top seven crews are all within 15 seconds.